How do creatives-- composers, painters, writers, scientists, philosophers-- find the time to produce their opus? Mason Currey investigated the rigid Daily Rituals that hundreds of creatives practiced in order to carve out time, every day, to work their craft. Some kept to the same disciplined regimen for decades while others locked in patterns only while working on specific works. 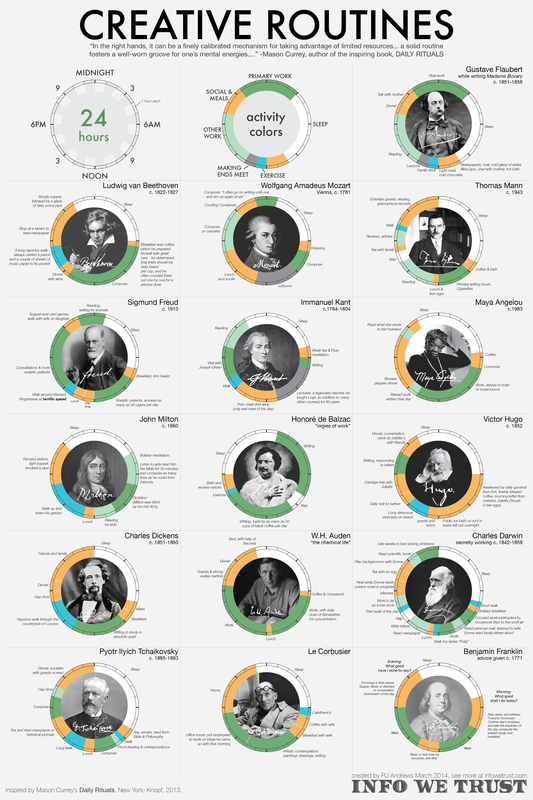 Perhaps most fascinating, is reflecting on how you spend your days compared to these creative masters. Do you have a routine that helps you be productive every day?